A quality roofing system involves all of the roofing components, including the underlayment, shingles, accessory products, and ventilation. The Integrity Roof System™ is designed to provide optimum performance, no matter how bad weather conditions are. After all, better quality components mean longer lasting roofs! 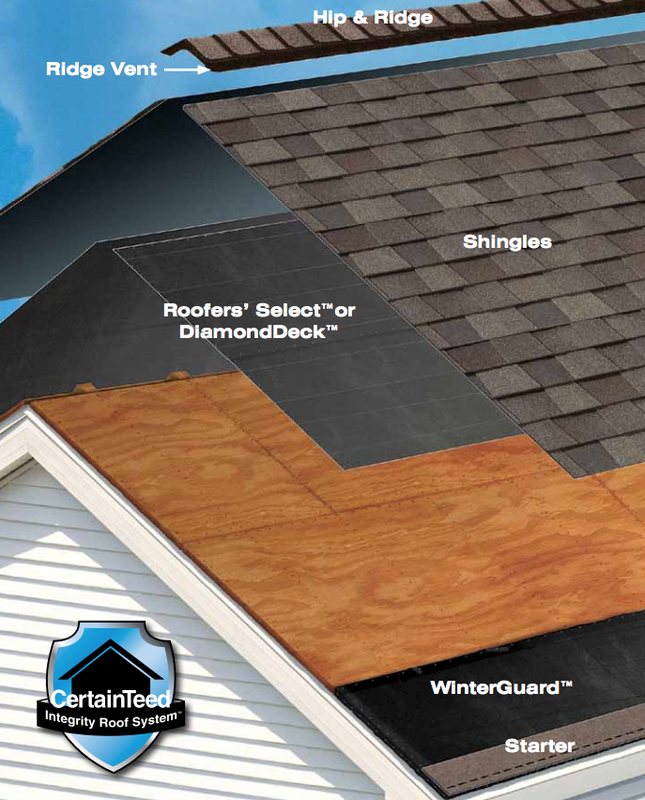 When you choose a CertainTeed® Integrity Roof System and The Roofing Dog Crew to complete your work, you have two companies that stand for quality and integrity.